We purchased 1,000 YouTube Views from BuyViewsOnYouTube to test the quality of their service. Overall the service was so-so: the Views arrived on time, but they had a very low average watch time. Their customer support was quite responsive to our questions, although they were wrong about what the average watch time would be. It's good to see that they have a money back guarantee, however, so you can get a refund in case you have an issue with their service. 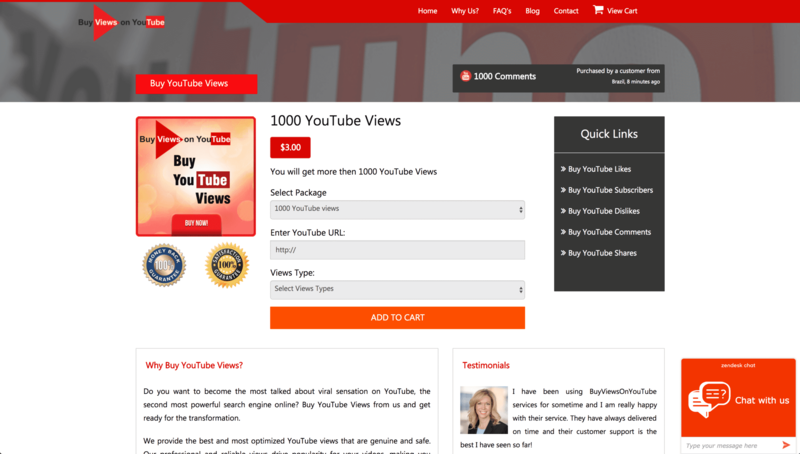 BuyViewsonYouTube is a provider of social media boosting services, focusing only on YouTube. They've been around since at least 2015, and their prices are quite good compared to other companies. Even though they only have services for YouTube, you'll find quite a few different kinds of plans. No matter how you want to improve your social proof on YouTube, you'll find a way to do it here. 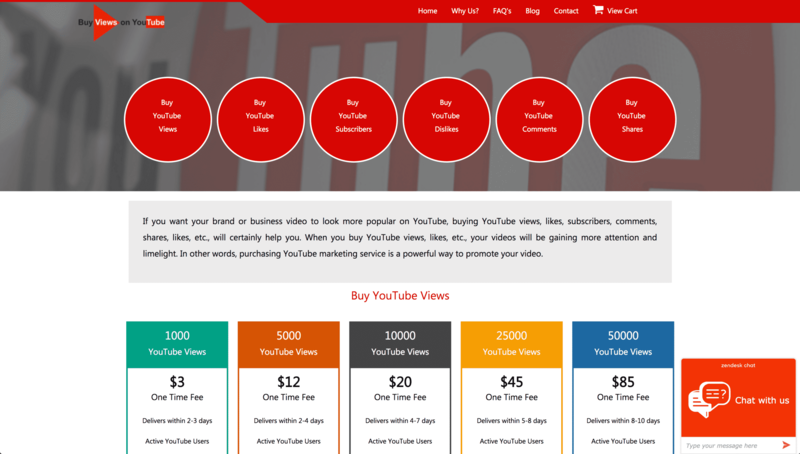 You'll find a nice selection of YouTube services on BuyViewsonYouTube. That includes Views, Likes, Dislikes, Subscribers, Comments, and Shares. For Views, you can choose from either Normal or High-Retention. We reviewed the terms and conditions sections on the BuyViewsOnYouTube website and made a few comments on their status below. To find out more details on these, then please toggle the sections to see what we thought! BuyViewsonYouTube has an ordinary Terms of Service for sites like these. In case anything goes wrong, BuyViewsonYouTube has a 100% Money Back Guarantee. There is no replacement policy in case Views are lost or removed. However, this doesn't usually happen, so it's not a big concern. 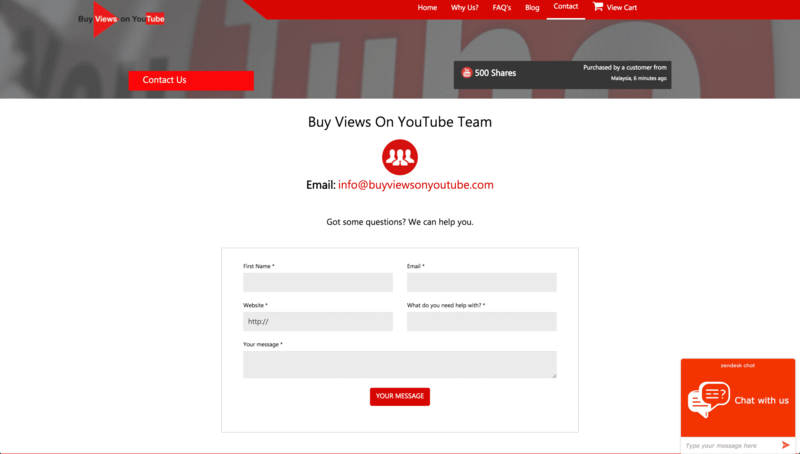 To get in touch with BuyViewsOnYouTube, you can just click the Contact button at the top right and use the contact form. Or, use their email address to send a message directly. 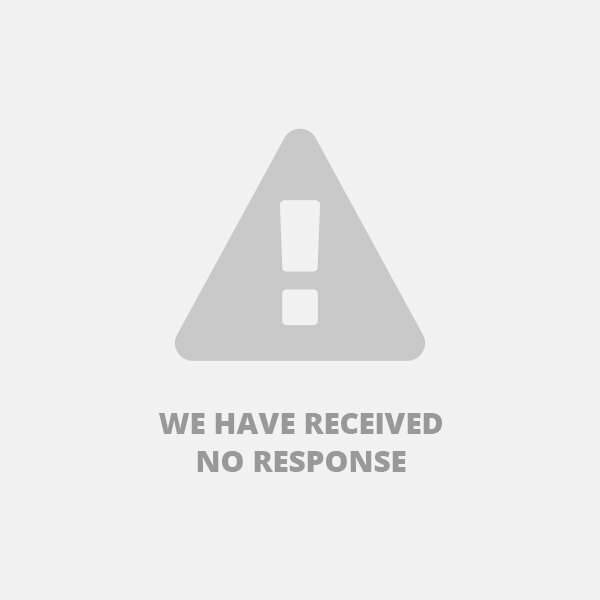 Before ordering, we like to send some questions to test out their customer support. We contacted BuyViewsOnYouTube and got a response back around 10 hours later, which isn't the worst response time but not the best either. They answered all of our questions quite nicely, but, when they said that the viewers would watch at least half of the video, we found that not to be true. The video we tested only got an average percentage viewed of 7.3%, which is not very good at all. "We can deliver upto 300000 views per day. 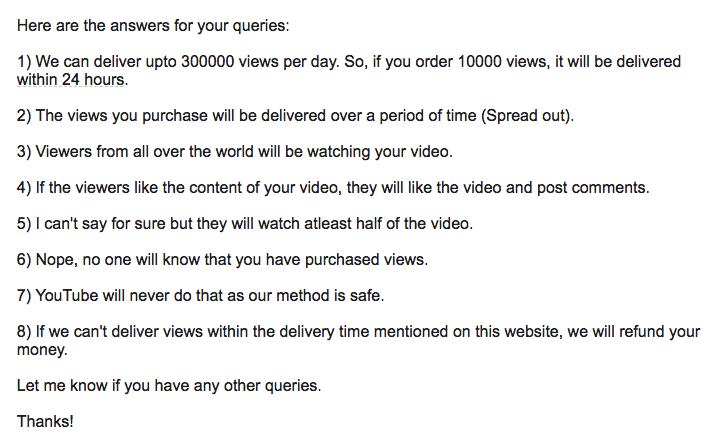 So, if you order 10000 views, it will be delivered within 24 hours." "The views you purchase will be delivered over a period of time (Spread out)." Who will be playing the video? "Viewers from all over the world will be watching your video." Will they make comments or like the video? "If the viewers like the content of your video, they will like the video and post comments." Are they going to watch the whole video? "I can't say for sure but they will watch atleast half of the video." Are people going to know that I bought views? "Nope, no one will know that you have purchased views." What if YouTube finds out and removes them? "YouTube will never do that as our method is safe." "If we can't deliver views within the delivery time mentioned on this website, we will refund your money." After we order, we usually send another set of different questions, to see if they'll treat a paying customer differently than a potential customer. Stay tuned because we'll update this section when we get a response. Can those views be removed? Will the users who made the views do anything else to my account, like make comments? What if my account gets in trouble? Since the Views we got from BuyViewsOnYouTube came in at a very low average watch time, we would recommend you go with a different provider. You'll get a great price along with a higher average watch time, which will send the message that people enjoy your video. Our Views came right on time, beginning to arrive soon after we placed the order. The order was complete within a day. As you can see, the Views we got came in at an average watch time of only 7%, which is very low. This isn't a very good sign, as it could tell YouTube that people started watching your video only to leave soon after. Not exactly the signal you want to send! The retention rate of our Views has been perfect, which is to be expected. YouTube is not known for removing views. We bought 1,000 YouTube Views from BuyViewsOnYouTube to review their service, and we found it to be somewhat mediocre. Although the Views arrived on time and in full, the average watch time was very low. This was unfortunate, especially because their customer support assured us that the viewers would watch at least half the video (although even 50% wouldn't be too great). They did respond quickly to our questions, however, and they have a money back guarantee in case you have a problem and need a refund. Overall, although their prices are very cheap, the quality of their Views wasn't as high as we've seen in other providers. If you want high-retention Views for a cheap price, we recommend you go with that you visit our list of the top providers to find someone better. The views I ordered arrived 24 hours after I made the order a day earlier than anticipated.The views were if good quality with an above average retention rate.This is the kind of service I was looking for. Our orders came on time and the quality of views was way above what we had though we would get.Thank you guys for that! The retention of the views impressed us a lot.Will definitely stick with them if this goes on. It is exciting to see just how well they have the process of delivering YouTube views, being well organized. At the end, they delivered the views I had ordered. The retention of the views I procured 2 months ago is what makes me recommend them. I am reluctant at first, but they delivered my views. Thank you! I ordered 10,000 views for a 12 minute video and I got high retention rate at 88%! That's more than 10 minutes of my video watched by real people! I love it and it's really organic. MUST BUY! My views order was completed in less than 2 days. Commendable! Good customer service. Very responsive and fast delivery. Awesome. My views are delivered on time. Very happy! I got good quality views! Will definitely order from them again.